Even for small multi-core systems, it has become harder and harder to support a simple shared memory abstraction: processors access some memory regions more quickly than others, a phenomenon called non-uniform memory access (NUMA). These trends have prompted researchers to investigate alternative programming abstractions based on message passing rather than cache-coherent shared memory. 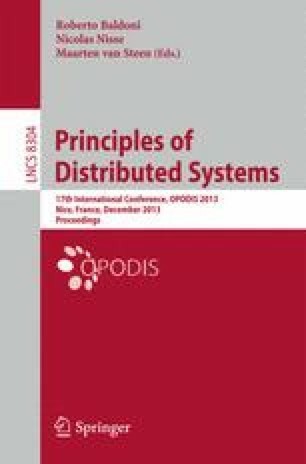 To advance a pragmatic understanding of these models’ strengths and weaknesses, we have explored a range of different message passing and shared memory designs, for a variety of concurrent data structures, running on different multicore architectures. Our goal was to evaluate which combinations perform best, and where simple software or hardware optimizations might have the most impact. We observe that different approaches perform best in different circumstances, and that the communication overhead of message passing can often outweigh its benefits. Nonetheless, we discuss ways in which this balance may shift in the future. Overall, we conclude that, by emphasizing high-level shared data abstractions, software should be designed to be largely independent of the choice of low-level communication mechanism.